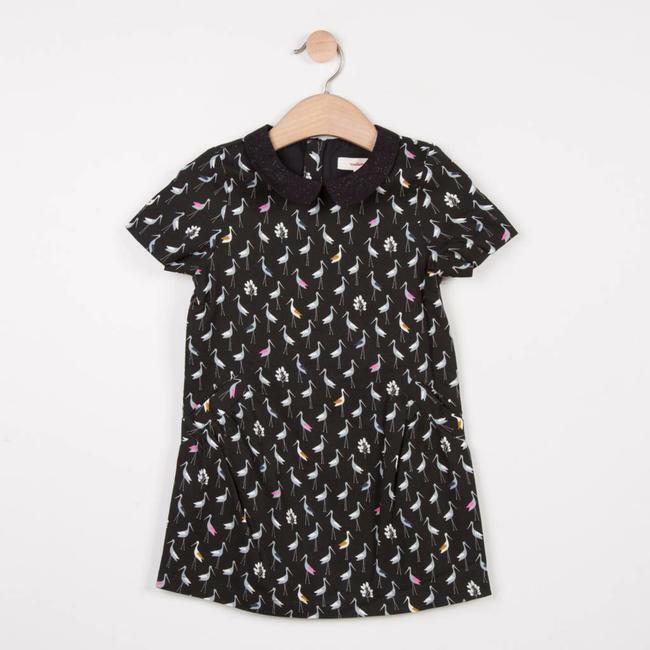 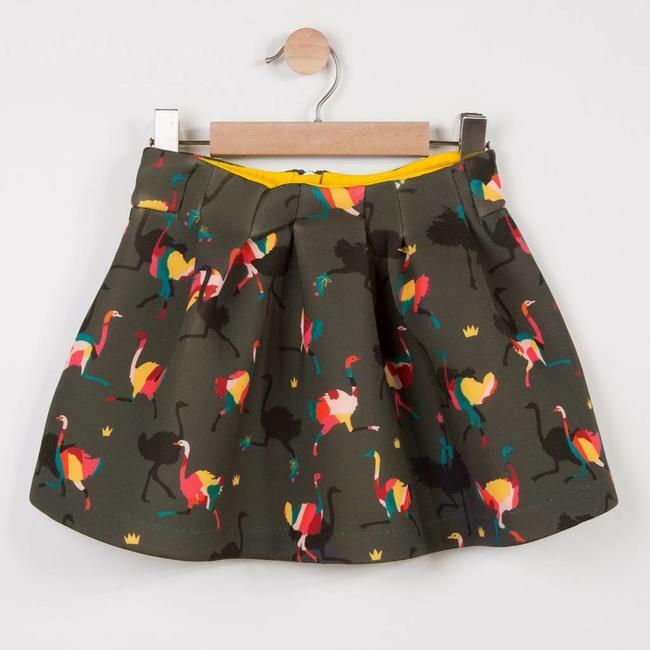 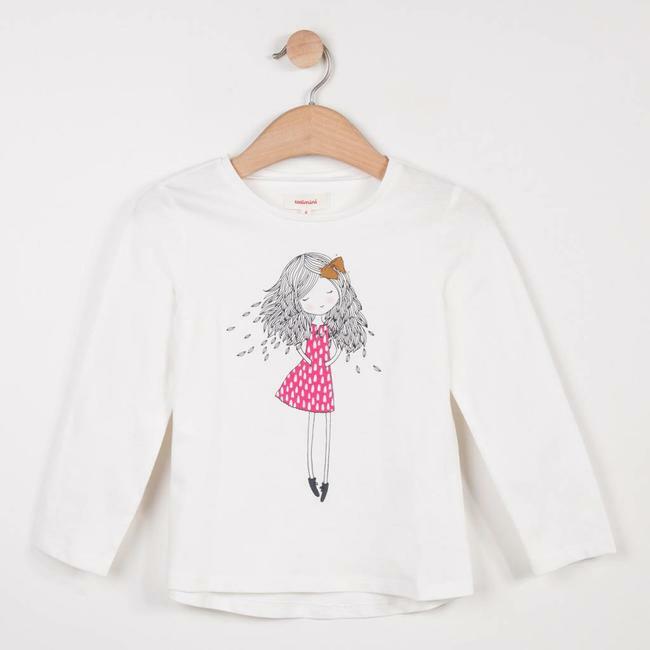 STORK PRINTED TWILL WEAVE SKIRT - Kidz Global Apparel Ltd. 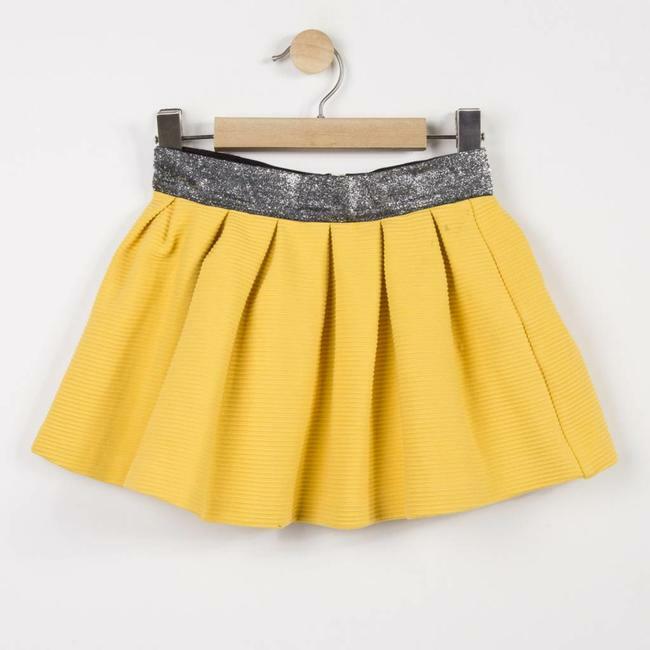 Elegant and fun, this skating skirt for girls is in a yellow.. 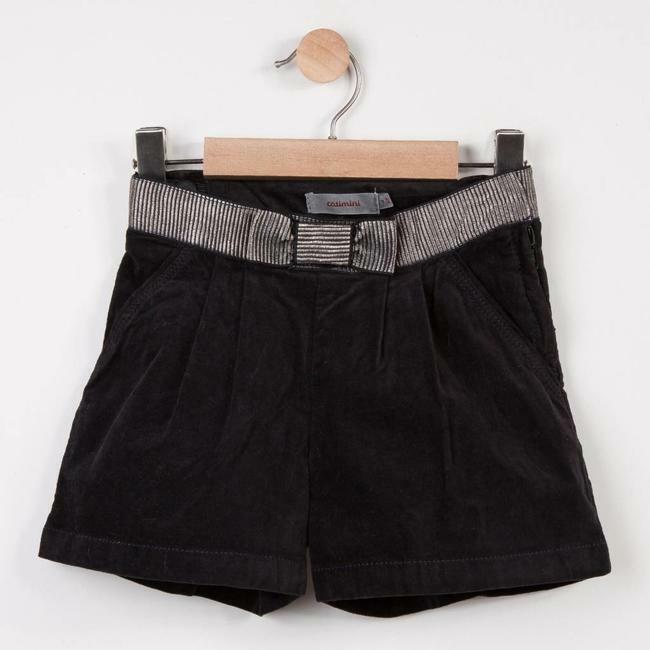 When a girls' short skirt adopts an offbeat and playful look..